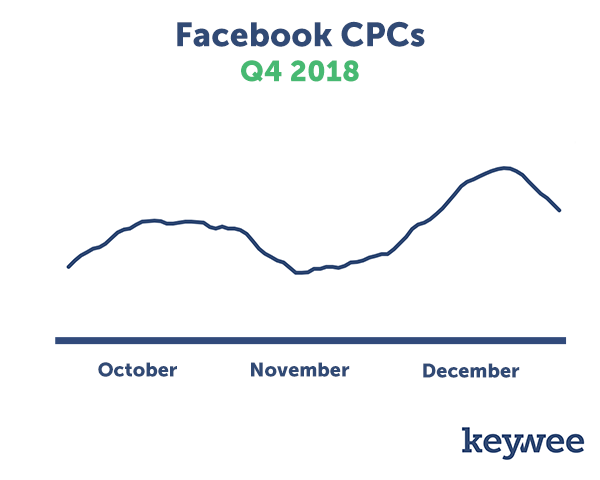 To help publishers stay informed of the most important Facebook and content distribution trends, we launched The Keywee Facebook CPC Tracker, a monthly update on Facebook CPCs based on analysis of data from over 500 publishers. We release new CPC data every month, along with relevant insights on content distribution. You can sign up for monthly updates straight to your inbox here, and read past months’ updates here. In December, we saw CPC increases both month-over-month and year-over-year, which is what one might expect for the last month of both the quarter and the year. In addition to increased spend on advertising due to the holidays, many advertisers spend more in December simply to deplete their full budgets before the year’s end. This leads to increased demands (and therefore prices) on platforms like Facebook. Due to similar circumstances for brands, branded content campaigns are also very popular during December. Because the cost of distribution for branded content is higher than the cost of distributing editorial content, this also affects overall average distribution prices. In general, Q4 is the most competitive and expensive quarter of the year. Prices start high, and just get higher. However, there is some variability throughout the quarter. While prices are typically at their lowest at the beginning of October, they do typically decrease again in early November. Once mid-November hits though, CPCs will continue to increase for most of the rest of the year. 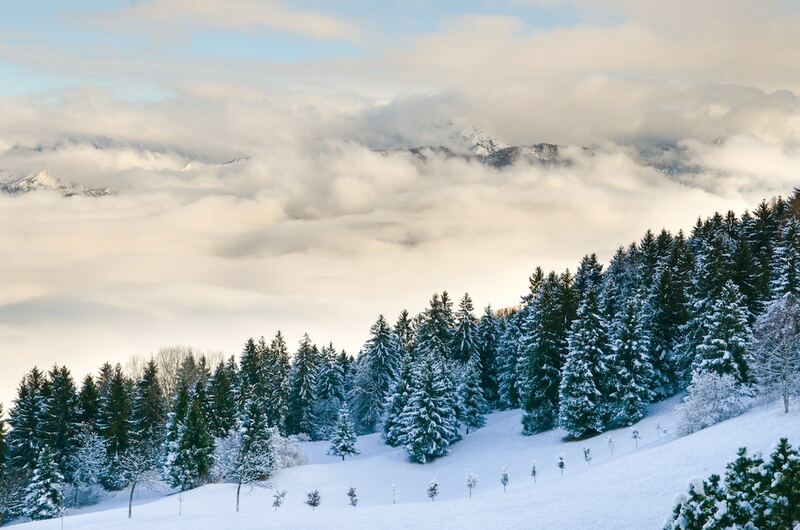 The last few days of the year, however, often feature more favorable pricing. 2018 was a landmark year in the world of publishing; from the constant changes on platforms like Facebook and Google, to the organizational changes many publishers made, it was a year of transition and learning for all. As we looked back on a busy 12 months (and their corresponding CPC Trackers), we noticed an overarching trend: 2018 was a year focused on using paid promotion to drive measurable business results. 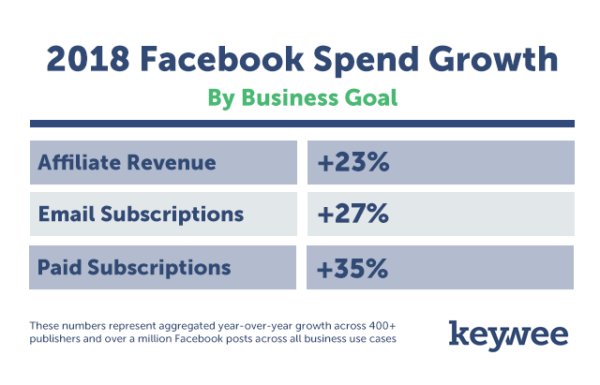 Publishers increased their paid promotion on Facebook to support specific business goals rather than simply driving high volumes of transient traffic. For example, in 2018 publishers (in aggregate) increased their spend on driving paid subscriptions by 35%, acquiring new email subscribers by 27%, and driving affiliate revenue by 23%. This is a trend that we expect to continue throughout 2019, as publishers push to drive profitability in an ever-changing landscape.